By these standards, everything had value in some regard, rendering the distinction meaningless. I'm not quite sure what you mean. so what if "everything" has value in some regard? If a theory says that to become Y, something must be X first, then a definition of X that includes everything is useless, because it gives no distinction between X and not X. Assuming the theory was correct and showing that only some things can become Y, that definition of X is clearly not what the theory was using. ok then you need to go back to the regression theorem and see that Mises said "industrial value" which is something that bitcoins have and had. since value is subjective, "everything" could have value cause all it needs is a status in someone's mind. but thats not what we are talking about here. does that clear it up for you? In its beginning, before bitcoins were valued as money (assuming they are valued as money now), I believe they were valued as consumer goods, providing a psychic benefit to their buyers, who were of a certain ideology. In other words, libertarians bought them because they wanted an alternative currency to succeed. they were valued because they could be used for something. thats industrial value. they could be used to send information securely and pseudonymously between two web connections. it has industrial potential for redundant encrypted communications. I'm not familiar with the term "industrial value." I would simply say that bitcoins were/are valued as consumer goods: i.e. not for their exchange value, not as producer goods, but for the pure psychic benefit which their use (in this case, their mere possession/purchase) yields, like wine, cheese, films, etc. Isn't it refreshing to see someone who can actually think? Are you a mathematician, Blargg? "If a theory says that to become Y, something must be X first, then a definition of X that includes everything is useless, because it gives no distinction between X and not X. Assuming the theory was correct and showing that only some things can become Y, that definition of X is clearly not what the theory was using." I thought it was clear that X could not include Y by definition. The statement that X is an "other employment" is identical to the statment that X is non-Y. You nailed it. Back in the day, people talked about bitcoin satisfying the requirement of having use X [and not Y] by saying it was used "as money", meaning Y. A: "intrinsic value, as money,"
A: Not at all. Bla bla etc etc. Intrinsic value is a sine qua non for money. Bitcoin is the result of the application of Labour to Land in the economic sense and it is, at one and the same time, a secure means of exchange without any intermediary anywhere in the world instantaneously, and a system of payments. It is, given its finite design, a store of value and a unit of account divisible to 21*10 to the 14th. power. This is equivalent to the existing store of gold on the planet expressed in tenths of a milligram each equivalent to 0.001543 grain. It also cannot be counterfeited due to its mathematical properties within the network of which it is a part. I've mocked these guys in the past, and nobody seemed to get what I was on about. Glad to see it's starting to sink in. I don't accept the concept "intrinsic value" since I conceive, following Mises, that value is a meaningless concept without a valuing agent. In Misesian thought the notion "intrinsic value" would have to be re-cast as "intrinsic value to me," "intrinsic value to him," "intrinsic value to her," etc. But this is essentially the same as saying that something has "subjective value" (i.e., value to the subject concerned). To avoid unnecessary confusion, and to avoid mistaking subjectivism and praxeology with objective social thought and normative pursuits, we should just stay with the well-established term "subjective value" unless we are proposing, explicitly, to abandon praxeology and subjectivism in favor of the objective and normative. We could possibly discuss the difference between objectivism and subjectivism (intrinsic value and subjective value) in a separate thread. 1. If Bitcoins are "used" now, but not as a medium of exchange, then this does not contradict the regression theorem, at least the version of it I quoted. 2. If Bitcoins are used as medium of exchange now, then by the regression theorem, they must have had a prior exchange use. If we accept that Bitcoins are used as a medium of exchange now, then according to Mises's theoretical approach, there is no experience (empirical evidence) that can be suggested that can contradict the proposition that they must have had exchange value on the account of other employments. If we accept and stay within the confines of Mises's own theory, and if Bitcoins are "used" or "employed" by people currently, as it seems they are, then they do not contradict the praxeological law which is the regression theorem. That is my argument. This is not intended as a defense of Mises or the regression theorem. It is intended as an application of Mises's conception of the regression theorem to the social object Bitcoins. Proposition: No object can be a medium of exchange which was not already an object of exchange. Where the difference between a "medium" of exchange and "object" of exchange is not a matter of praxeological deduction, but instead a Thymological distinction. This would explain the interminable nature of the debate about the relationship of bitcoins to the regression theorem, since everyone can have their own individual "thymological" judgment as to when a thing ceases to be merely an "object" of exchange, and begins to be a "medium" of exchange. I don't accept the concept "intrinsic value" since I conceive, following Mises, that value is a meaningless concept without a valuing agent. Well, you certainly have the right to compose your own personal language in which "intrinsic value" does not appear, but you will not be following Mises. Quite the contrary. Mises himself, as well as several respected Austrians, living and dead, used the phrase intrinsic value. A search of the mises.org forums will turn up other Austrians who have used the phrase. And yet, they know all about how all value is subjective. This has been discussed many times in the forums. Your argument 2. is unclear to me. Of course there is evidence that it wasn't used for something else. There is no other use for it. Mises is stating that it is impossible, except maybe in Bizzaro world, for a money to start off having no intrisic value. If bitcoin is now a medium of exchange, it certainly does contradict the regression theorem. The solution to the great riddle is that they are not "used' or "employed" by enough people. ...everyone can have their own individual "thymological" judgment as to when a thing ceases to be merely an "object" of exchange, and begins to be a "medium" of exchange. Big mistake. there can be differences of opinion about the borderline cases, but not the extreme cases. Bitcoin is an extreme case. To make this clear, the word "ugly" is very subjective. One man's pretty is another man's meh. 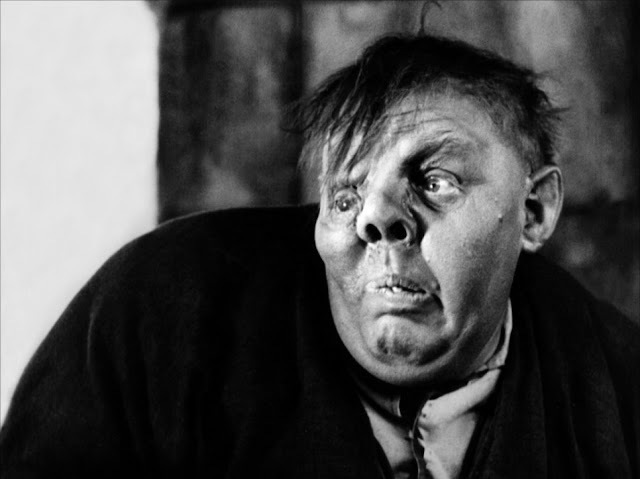 But if a girl looks like Charles Laughton in the Hunchback of Notre Dame, she's ugly, and that's all there is to it. The extreme cases are not in dispute, and not up to every man to decide for himself. A medium of exchange which is commonly used as such is called money. The notion of money is vague, as its definition refers to the vague term "commonly used." There are borderline cases in which it cannot be decided whether a medium of exchange is or is not "commonly" used and should be called money. Only in borderline cases can it not be decided, not in extreme cases. Mises' regression theorem is being taken as basically "to become Y, something must have been X before that". Adam, you're saying that it seems to have become Y, so it must therefore have been X before that. Others are objecting that it can't have become Y, because it was never X, and asking others to show how it was X before. Of these two, I'd say that the latter is more compelling, and that if we can't find good evidence that it was/is X, then we should be skeptical of claims that it is Y (especially since being seen as Y gives it special status, thus more push to see it as Y even when it isn't). Of these two, I'd say that the latter is more compelling, and that if we can't find good evidence that it was/is X, then we should be skeptical of claims that it is Y (especially since being seen as Y gives it special status, thus more push to see it as Y even when it isn't). it's apodictically certain. and, bitcoin is money to certain people. if youre not one of those people it might take a while for you to care about bitcoin, and it might not be money to you. but its still money to anyone who uses it as their common medium of exchange. since value is subjective, any definition that relies on a valuation is also a subjective proposition. Of course there is evidence that it wasn't used for something else. There is no other use for it. as usual, youre wrong. its useful for secure pseudonymous digital communications. quit collectivizing individual decision making. methodological individualism says that people who dont transact with bitcoin arent relevant to the enough. there are entire markets that accept bitcoin. thousands and thousands of people use bitcoin as money, it is money. you could easily say that not enough people use yen, its not commonly accepted where I am from, its not money. if less than ten people use it as an exchange medium it might be a borderline case. maybe those people live in a commune and its not money, but a common unit of account. "the FBI admitted to waging a secret war against any private currency system that competes against the US Dollar." Autarchy: rule of the self by the self; the act of self ruling. From Wikipedia article about Silk Road (similar to amazon.com but without restriction on what is sold, and uses bitcoin as money): "Most of the BTC prices on Silk Road are pegged to the United States dollar and fluctuate in accordance to the current BTC/USD exchange rate." This is perhaps another way to distinguish a currency from something else: whether things can hold their own in the currency, or whether some other currency is the real unit, with the listed pricing unit merely an intermediary that's part of the purchasing process. New post on my blog, The contradictions of Smiling Dave. Dave replied, and I replied back. Guys, I'd appreciate some feedback on my idea about reconciling BTC with the Regression Theorem that I posted in the other BTC thread. I just had an idea about reconciling Bitcoin with the Regression Theorem. Imagine invisible envelopes (of various sizes) were invented which allowed you to discreetly ship gold or USD between any two points in the world. You'd "pack" $100 in a "$100 size envelope" or 10oz of gold in a "10oz envelope", enter the destination and off it goes. I would imagine such envelopes would be subjectively valued some non-zero $ amount in the market -- say, 1% of the gold or USD value they are able to ship. So a "$1000 envelope" would be worth $10. If I shipped you an empty "$1000 envelope", wouldn't have I actually made a $10 transaction with you -- using the envelope itself as money? Also, due to their obvious non-monetary utility, wouldn't these envelopes also satisfy the Regression Theorem? Since I could use Bitcoin to send you gold or USD today (I trade USD => Bitcoin on my end, send you Bitcoin, and you trade Bitcoin => USD on your end), we could view Bitcoin as an envelope as described above. After a while, why not just exchange empty envelopes whose value has been derived from their previous utility as transaction vessels for (old) money? This hypothetical example wasn't meant to exactly replicate the Bitcoin situation as it stands today and the envelope I described does not have to be worth 1% of the content it is able to transport, or even an amount proportional to the amount it is able to transport. I just picked that number as an example. The envelope will be valued at whatever people would be ready to pay for it, and that would be determined by how useful it is to them (demand) and how many envelopes are available for sale (supply). The above shows how a method/system/pattern for transacting money (or anything else already widely valued by others) could become widely valued itself -- hence become money as well. It would satisfy the Regression Theorem due to it's previous utility as a private/secure conveyance for money. Today anyone (even someone who doesn't believe a Bitcoin is worth more than $0) could use Bitcoin to privately "send" fiat currency to anyone in the world without exposing themselves to fluctuations in the $/Bitcoin price for too long. Party A exchanges $'s for Bitcoins at the current market price then immediately sends Bitcoins to Party B across the world upon which Party B immediately exchanges those Bitcoins into $ at almost exactly the same market price. Businesses could pop up (BitPay?) offering this transaction in a package deal, even guaranteeing a fixed $/Bitcoin exchange rate at both ends for a fee. The more people do transactions like these, the faster the transactions would become (lowering the risk/exposure to the $/Bitcoin market price) and the more efficient the $/Bitcoin market would become, leading to a more stable $/Bitcoin price, which in turn lowers the risk/exposure for the people unsure about the value of Bitcoin in $ terms. As long as transactions like the above are demanded (even by people who would never hold Bitcoins for more than a second as they believe Bitcoins to be worthless) there would exist a non-zero $/Bitcoin price, praxeologically so. z, good job at putting this in writing! The Voluntaryist Reader - read, comment, post your own. Nice to revisit this now that Bitcoin is poised to zoom past $200, a whole order of magnitude higher than when I originally wrote this 9 months ago. How many more orders of magnitude will be needed to convince the skeptics? The beautiful thing is that those who understand what's going on sooner get to make the money. And here we are again, almost another order of magnitude higher and zooming past $1000 per coin, about to break the all-time high yet again. How many more orders of magnitude will be needed to convince the skeptics? Apparently several more will be required. Though by then it will pretty much be the ledger of civilization. Some might want to ensure their stake on that ledger before then.